When it comes to technology, the property industry has been a late adopter. The sector has been slow to adapt in the face of technological advancement. Much slower, in fact, than the broader economy. Labour productivity in the European real estate sector has expanded by less than 5% since the turn of the century, lagging the rest of the economy by 20%. That’s now changing. A raft of startups, scaleups and more established names are disrupting and improving the experience of buying and renting residential property. The number of proptech companies globally has risen exponentially from 176 in 2008 to 1,318 through the first three quarters of 2017. From 2008-2017, cumulative investment in proptech soared from $2.4 billion to $33.7 billion. These products and services in development aren’t yet mainstream, but they are set to become a permanent feature of the property market going forward. Startup founders and technologists are working around the clock, backed by huge sums of investment capital, to change the face of the property industry. Behind this movement is a generational shift, with millennials keen to improve the way real estate is bought, sold and operated, striving to make it more accessible than ever before. This paper explores how proptech is changing the experience of buying and renting residential property, and reforming an industry in the process. It’s a nascent, but burgeoning and diverse space. Globally invested capacity in proptech increased from below $200m in 2011 to over $2.5bn in 2016. The next generation of property apps, websites and engines straddle property discovery, financing, transaction management and legal services. By scoping out the landscape, we will provide you with greater visibility of the opportunities, and how you can position yourself and your business to benefit. Property is the largest asset class in the world. Global real estate comprises $217 trillion in assets, and residential property makes up around 75% of that total. Traditionally, the market has been plagued by inefficiencies, and not simply due to the agency problem whereby chartered surveyors, brokers, lawyers and other interested parties are disincentivised to disrupt the status quo. In fact, many leading firms offering these services are innovative, ambitious and keen to push the envelope, but since real estate comprises a diverse collection of assets traded in mostly private markets, it is hard to disrupt and optimise. It’s easier to think of the property market as a collection of smaller markets, dominated by established players and resistant to change. This presents significant challenges to those seeking to enter the market, but huge opportunities, too. Proptech isn’t new. The first wave of the movement took place in the 1980s, when traditional property services were accelerated by the invention of the personal computer. The ascent of data enabled quantitative modelling, valuation software and property management at scale. The tools at that time might have been basic, but they were, in their own way, revolutionary. A new breed of C2C marketplace emerged from the Dot Com bubble, encapsulated by Craigslist. At the same time, print-based marketplaces such as Exchange & Mart went online, bringing peer-to-peer transactions to a global audience for the first time. In the UK, Rightmove was started in 2000 by leading British estate agencies, and Zoopla followed in 2007, soon joined by OnTheMarket in 2015. In the US, Trulia launched in 2005 and Zillow arrived a year later, in 2006. These innovative companies have blazed a trail, becoming household names and redefining the way that we interact with residential property. But they are just the tip of the iceberg when it comes to proptech. The residential property sector has always led the way when it comes to technology adoption. This is because it’s a homogenous asset class for which data is easier to aggregate, and the sheer scale of the sector means it benefits from a huge addressable audience with strong network effects. In fact, the global residential market dwarfs the commercial market many times over. Innovation is dependent upon capital investment, so this explains why residential is leading the way when it comes to tech adoption. The first phase of innovation in the property sector has been superceded by a bolder, more disruptive chapter. Slowly but surely, the silos that have for so long characterised the property industry are being dismantled. This movement is being driven by investment from venture capital and private equity firms. CB Insights found that real estate tech companies raised $6.4 billion in funding across 817 deals since 2012. In addition, incumbent property firms like Hines, LaSalle, Cushman & Wakefield, British Land and CBRE are launching their own proptech funds and in-house accelerators. This trend looks and feels like a goldrush, with players desperate to protect their market share and exploit the failure of others to do so. Property is controversial and emotive, close to the hearts of individuals and society at large. Many people are locked out of the housing market due to significant obstacles, and the situation can feel hopeless. Asset inflation has made housing unaffordable for most. House prices have risen 259% since 1997, compared to a 68% increase in average earnings. This means that houses in England and Wales are the least affordable they have ever been. Indeed, the average house now costs 7.6 times average annual earnings, compared to 3.6 times earnings in 1997, according to the ONS. This has reversed the trend of rising home ownership and ushered in “Generation Rent”, especially in expensive markets like London. Then there are the complexities of buying a house. It sounds simple on paper, but when you get down to the mechanics of actually purchasing property, the uncertainty, administrative burden and financial risk can be overwhelming. Many people choose to do nothing, rather than go through the stress of buying a house. Saving for a deposit is the first step for people seeking to get on the housing ladder. This is easier said than done. Data on savings fail to distinguish between the effects of labour and inheritance, making it difficult to ascertain the general picture of savings attitudes and practices, but young people with large savings have invariably received gifts from parents. The “bank of mum and dad” accounts for 25% of UK mortgages and now stands at over £5 billion. But many people don’t have wealthy, generous relatives who are able to help them onto the property ladder, leaving them to navigate the rent carousel. If a person manages to save enough for a deposit, they must then successfully pass a mortgage application. This means meeting strict lending requirements in terms of track record and outright earning levels. Often it’s hard for couples with combined incomes to meet these criteria, let alone single people. Once a mortgage in place, it’s time to find a place to live. Thankfully, the days of visiting multiple estate agents to collect printed listings and book fruitless viewings are over. 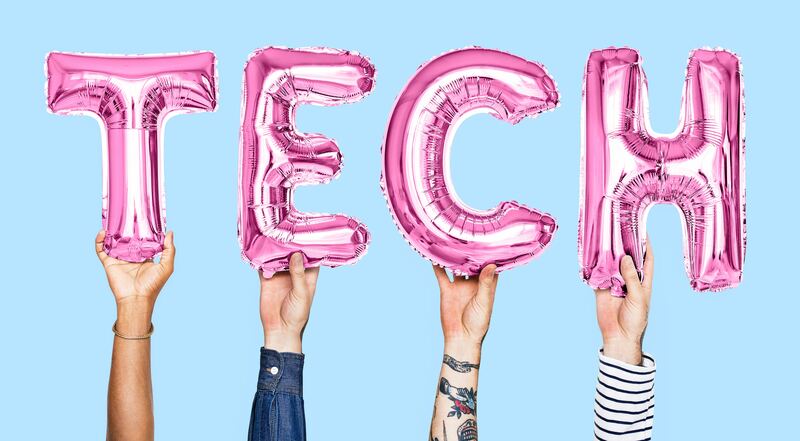 Technology has made the discovery process easier, with apps like Rightmove, Zoopla and PrimeLocation aggregating stock in one place and creating great user experiences that enable homebuyers to source properties and enquire with estate agents. After making an offer on a house, comes the transaction. The process of paying for property has always been inefficient and ripe for disruption. The cost in the UK of delayed completion is estimated at over £60m a year. Currently, the majority of estate agents offer a poor user experience that’s highly manual and administration heavy. There is a real lack of transparency as to how the payment process is progressing, and a high degree of information asymmetry, with parties often left in the dark for long periods. There is also a lack of security when it comes to payments. It doesn’t need to be this way, which is why we founded Shieldpay. Home-buyers face multiple obstacles when buying property, but they are not insurmountable. In fact, they can be met with technology. Proptech and the wider fintech sector is transforming the residential housing market. New platforms are springing up to address challenges for buyers and renters. Real Estate Fintech - platforms that facilitate the trading of real estate asset ownership in the capital markets. Assets can be buildings, shares or funds, debt or equity, ownership can be freehold or leasehold. Included the likes of Zillow, LendInvest, OpenDoor. Sharing Economy - platforms that facilitate the use of real estate assets, which can be land or buildings, including offices, shops, storage, housing and other property types. This involves property discovery and facilitating fee-based transactions. Includes the likes of Airbnb, SpareRoom.com and WeWork. Smart Real Estate - platforms that facilitate the ongoing management of real estate assets. Includes the likes of Nest, Appfolio and Zenplace. Within these verticals are countless horizontals, in areas as diverse as listings and search, marketplaces, brokerage, investment, valuations, mortgages and property management. Proptech innovation is impacting every corner of the property market. Purplebricks is an online-only estate agent that uses "local advisors" to smooth the buying and letting process. The company's online platform enables customers to monitor every aspect of their property transaction, without input from agents. The company has an innovative business model too, charging flat rates rather than percentage commission and boasting average savings of £4,572 for sellers. Nested helps homeowners sell their property in 90 days, or it will give you the money to make your next purchase interest-free. It uses algorithms to provides sellers with a property valuation within seconds. Movebubble puts renters first, bringing transparency to the process of searching for a rental and ensuring properties are actually available. The company started life trying to disintermediate agents, but soon realised that collaboration was the key to building inventory and growing its platform. The app uses technology to learn users' preferences and filter out undesirable properties - and bad agents. Acasa is a property management product. It helps people set up and manage bills in their home and now manages more than 1.7 million individual household expenses worth over £200 million in 150 countries, with 130,000 registered users globally. Startups aren’t the only ones driving change. Established players are too. Business. 86% of respondents saw technology as an opportunity. So it comes as little surprise that high street estate agents are incubating and accelerating startups in order to claim their stake in the future of the industry. For example, Humberts and Countrywide have backed Propoly, a white label service that helps agents go digital, in conjunction with leading proptech fund Pi Labs. The technology enables agents to advertise property on multiple listings aggregators, collect deposits, store referencing information and manage contracts. Property developers have also upped their game when it comes to technology, changing the way that people buy property off-plan by making the experience more immersive and engaging using state of the art simulations and in some cases, virtual reality. They’re also incorporating innovative property management technology systems, having recognised that property is not just a one-off purchase - it’s often an ongoing service. Big tech incumbents are also entering the property space. Zillow, Trulia, Realtor.com and Redfin are prominent names in real estate listings, but none of them can match the reach that Facebook enjoys via its global network of communities. Facebook Marketplace recently launched a push into property, allowing individual homeowners in the US to list their homes for sale, and it’s well positioned to dominate real estate in the years to come. The social network is also going into rental listings, via partnerships with Apartment List and Zumper, which means Facebook users can now browse hundreds of thousands of rental units without leaving the platform. This is a win-win for everyone. Proptech isn’t a zero-sum game. By improving user experiences, all players in the residential property market can grow the overall market and drive revenues without cannibalising demand. Furthermore, traditional names can benefit from direct and indirect collaboration with challengers, as they help to educate and empower consumers. Insurance brokers like Howden Group play a critical role in the market, and by collaborating with startups like ShieldPay, they offer lower premiums to their customers. Other names in the property sector, including Barclays, Premier Property Lawyers, Teal Legals, The Law Society, CLC and Land Registry are also leveraging the transformative power of technology, long recognised by innovators such as Habito and Purplebricks. A new ecosystem is emerging, with progressive tech-centric challengers joining forces with established names to provide consumers with better service and value for money. Indeed, PPL recently used Shieldpay’s digital escrow facility to power the UK’s first fully digital mortgage settlement. We conducted the first digital mortgage settlement on a property in Liverpool, moving money from the buyer and their lender to the seller, while paying fees to the estate agent and solicitor in real time. It’s big news for the UK’s £245 billion mortgage market. This method is not only a fast and efficient way to settle funds. It also reduces the risk of fraud by verifying the identity of the parties involved, holding monies in a separate escrow account and releasing them only with agreement from all sides. The transaction was executed achieved with the support of Barclays and the specialist regulator of conveyancers, the CLC, and we’re looking forward to doing many more in future. Integrations are an important part of this collaborative era. Market participants understand the value of data, and they’re keen to partner with those who provide access. Zoopla’s API enables developers to create apps using 15 years of price data on 27,000,000 homes and up to 1,000,000 property listings. It’s a priceless resource when it comes to providing users with visibility and context. This is just one example of a wider trend towards collaboration which puts power back into the hands of users. Ultimately, proptech is like any other technology. It can’t replace humans entirely, but it can help them to focus on what really matters to consumers, adding value in the right places. This insight is driving mass adoption throughout the property sector and promises to further scale the market in the years to come. For too long, individuals and businesses have had to engage in unnecessary complexity when sending and receiving sizeable funds. Anyone who has ever bought or sold a home will know it’s probably the most important transaction of their lives but unfortunately, it’s also the most painful and expensive. Shieldpay changes that by streamlining payments and helping to reduce costs. The entire experience is optimised around the user, making payments easy to execute, without the stress of traditional methods. If you’d like to find out more about what we do and how we can help you when it comes to buying and selling property, get in touch!